The leading voice of all things that have been remotely related to things powered by an engine, Motor Sport is the only name that comes in the mind. 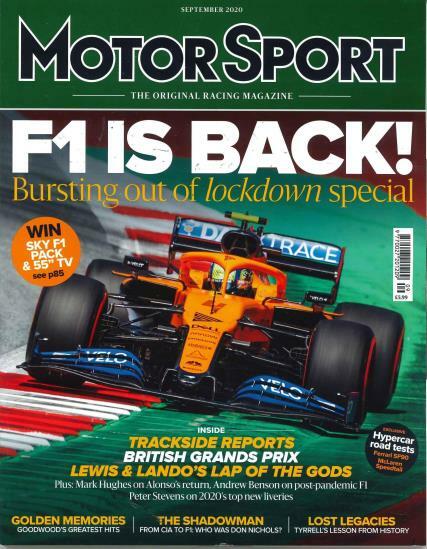 Buy a single copy or subscription to Motor Sport magazine. Made from a hard-wearing polyester material and stitched with the magazine's logo, the tool roll makes the perfect accessory for storing your various screwdrivers and spanners. ficionados all across the world. Started back in the days in 1924, this magazine gives you all the news from the fast-lane for more than 92 years. This never-idling magazine features articles all of which seem insightful, the writers of which are some of the leading faces in the world in motorsport-journal publication. It showcases views and interviews of some of the leading drivers and personalities from across the world. The writers of the magazine have always had the audacity to speak whatever they have felt about the motor sporting world since the days this magazine started.